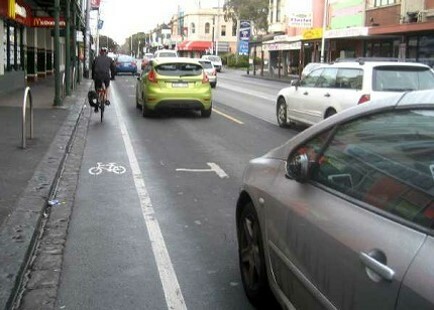 In January 2011 I gave this 15-minute presentation to the Australian Cycling Conference in Adelaide, South Australia. My talk, as you’ll see, was based on the paper I wrote while completing my Masters of Letters in US Studies at the University of Sydney. If I can I’d like to begin at the beginning. 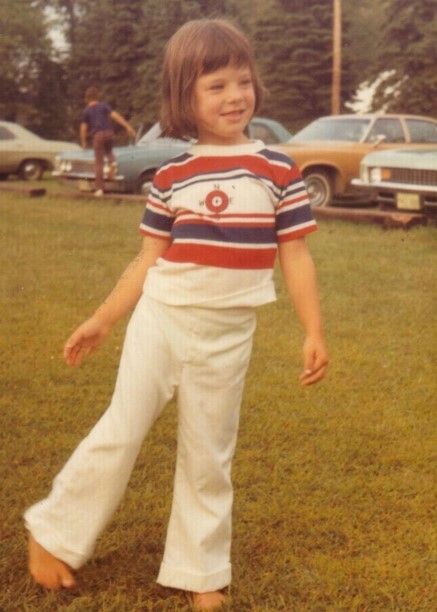 This is me, aged about four, around the time I got my first bike: a Schwinn Pixie which looked an awful lot like this one. 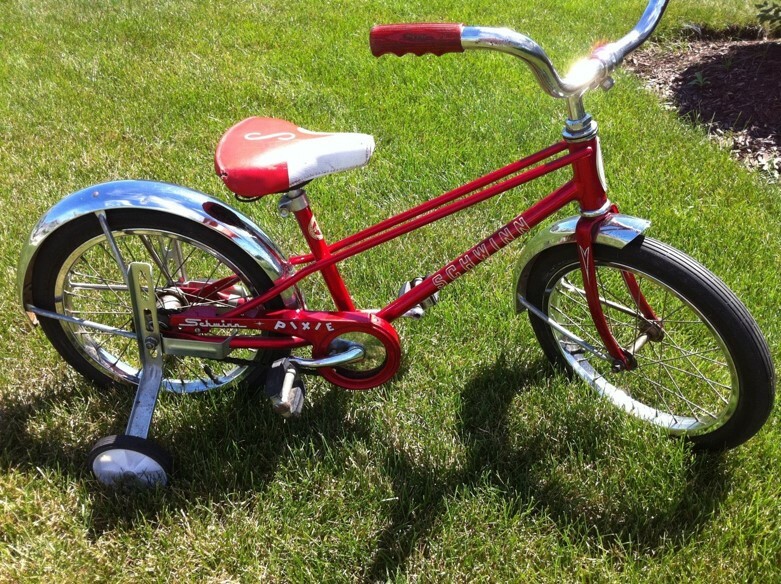 The best first bike a girl could have – the Schwinn Pixie. Mine is a familiar story — I was a keen cyclist as a child and into my teenage years but I abandoned my bicycle in favour of driving and taking public transportation as I entered adulthood. Since I moved to Sydney in 2000 I have become an everyday cyclist. Until recently I have not been involved in bike culture or advocacy. I was merely a woman on a bike riding around Sydney. But as an everyday cyclist I found myself thinking about how bicyclists are perceived, how public space is allocated and how the world looks different from a bicyclist’s saddle. In 2008 I began a master’s degree in US Studies at the University of Sydney. Given my accent that might seem a strange course to pursue but it gave me the opportunity to look back at my old home with the perspective of distance and with the rigour of academic study. 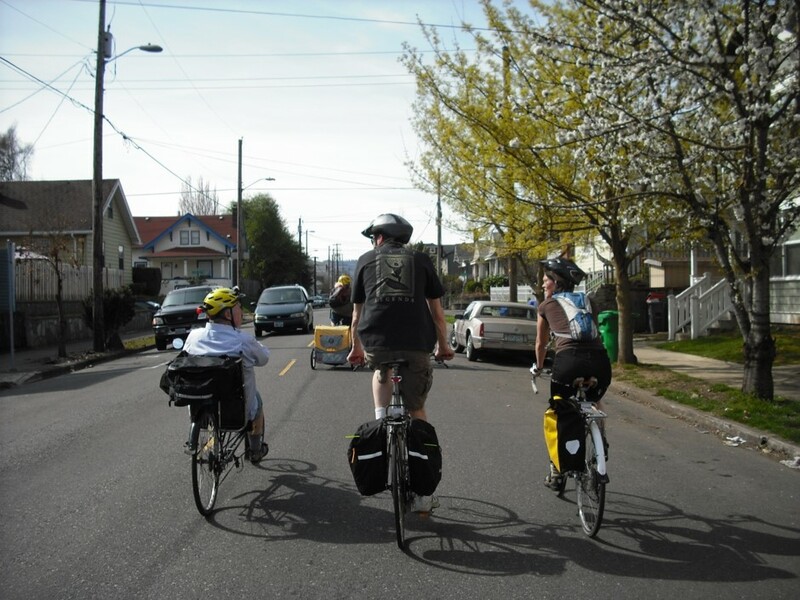 Cities for Lovers and Friends – Contesting Automobility One Pedal-Push at a Time with a Case Study of Portland, Oregon. As my paper was prepared as part of a Masters of Letters program rather than a post-graduate research degree, my approach was more an exploration of ideas than the creation of new and testable knowledge. In my paper I looked at the rise of modern, car-centric cities and the role of automobility in the physical and emotional structure of our lives. The idea of automobility, at its most basic, is concerned with the way of life constructed around the premise that private automobiles are good in their own right and, as such, anything which facilitates driving is positive. It considers the affects of living in a car culture – the isolation from nature and society, the acceptance of the human and environmental costs etc. From this grounding I then looked at Portland, Oregon – as advanced a bicycling city as any in America – to ask if and how bicycling is contesting, or challenging, the norms associated with automobility. Over the next 15 minutes or so I’ll tell you a little bit of what I’ve learned about the way our cities have come to be as they are and the rise and nature of automobility. I’ll talk about Portland as a city and bicycling Mecca and explore some ways cycling is and can contest automobility in Portland and elsewhere. This project began from the saddle. Looking at Sydney as I pedalled around I noticed, for the first time really, just how much space is devoted to the personal automobile. I noticed all the space taken for their storage on public roadways; I noticed that people in cars were given priority usage of the nearly all public thoroughfares and that they took the lion’s share of the space wherever they operated. So I began with the question: How have our cities, or for the purposes of my paper, American cities, come to be as they are? In short, I found, our 21st century cities are the product of 20th century solutions to 19th century problems. 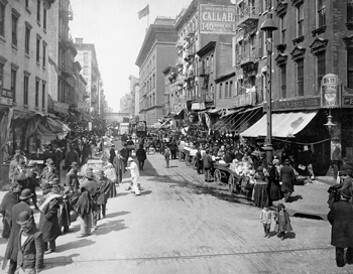 At the dawn of the 20th century American cities were densely crowded; people lived and worked in the same spaces; the roads were shared by pedestrians, drivers, horse drawn vehicles, and bicyclists in a lightly regulated un-segregated muddle. Cities were increasingly filthy with industrial grime and their working class neighbourhoods were breeding grounds for disease. 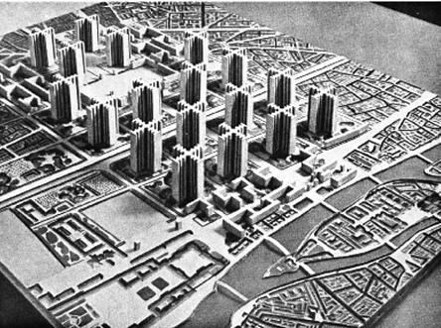 Modernist city planners and architects made it their job to solve the problem of cities. And the presumption of increasing car ownership was a key to their solutions. Leading figures such as Switzerland’s Le Corbusier and New York’s Robert Moses promulgated visions of The City of the Future. While none of these were ever built from scratch certain elements were broadly adopted. These planners sought to separate the various functions of the city so residential areas are distinct from business, industry and recreation. 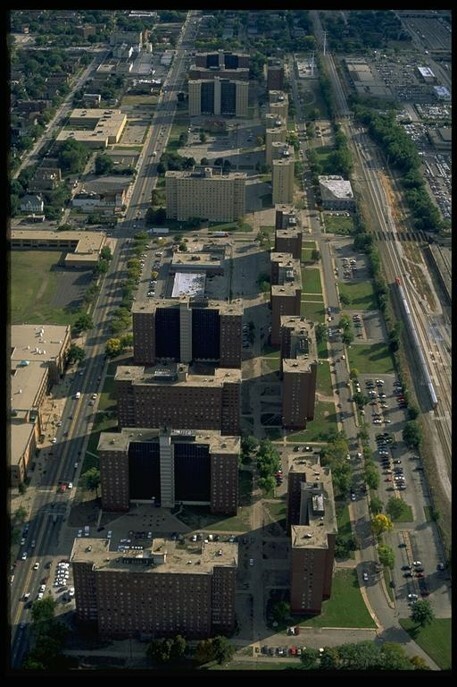 To free the working masses from the mire of tenements they envisioned clean functionalist high-rise apartment buildings surrounded by plazas and lawns. 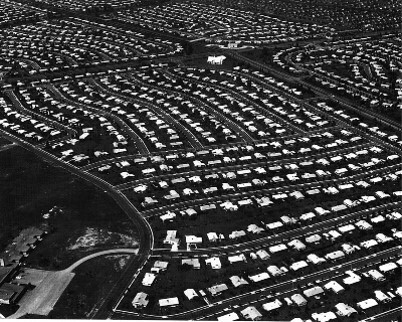 Middle-class bedroom communities were to flourish in the suburbs. High speed motorways would provide access to areas of employment and leisure from outlying residential areas. These ideas were pretty much universally embraced in the United States. Older cities razed slums and moved the working class residents to high rise apartment blocks; they carved highways through older neighbourhoods to deliver suburbanites to their city jobs. They implemented zoning regulations to keep separate functions in separate parts of the city. Basically they planned cities for car drivers. 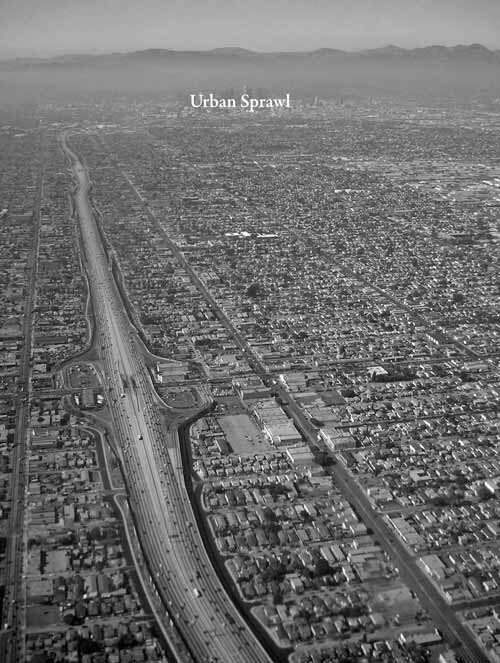 The resulting cities would sprawl in all directions and lead to automobility. Automobility can be seen as an apparatus which promises fast, easy, self-directed mobility but, at the same time, physically removes us from the social and natural world, encapsulating us in mobile private spaces and carrying us at speeds in excess of our human capacities to make eye-contact or safely operate the machines we are driving; we have built cities and lives around the expectations of automobility which has required us to devote more and more time to moving between the disparate places of our lives. We have undermined the genuine utility of the automobile by over-reliance upon it for our every mobility need and by building cities which require their use. To begin thinking about how everyday bicycling might contest the norms associated with automobility I looked at two seminal critiques of automobilized cities: Jane Jacobs’ “The Death and Life of Great American Cities” and Jan Gehl’s “Life Between Buildings”. Jane Jacobs was an urban activist and commentator living and working, initially, in New York City in the early 1960s. In contrast to her nemesis Robert Moses she was drawn to the organic city. Rather than trying to devise a highly functional city from a blank page she looked at good urban neighbourhoods, mainly her own, and sought to understand why they worked. 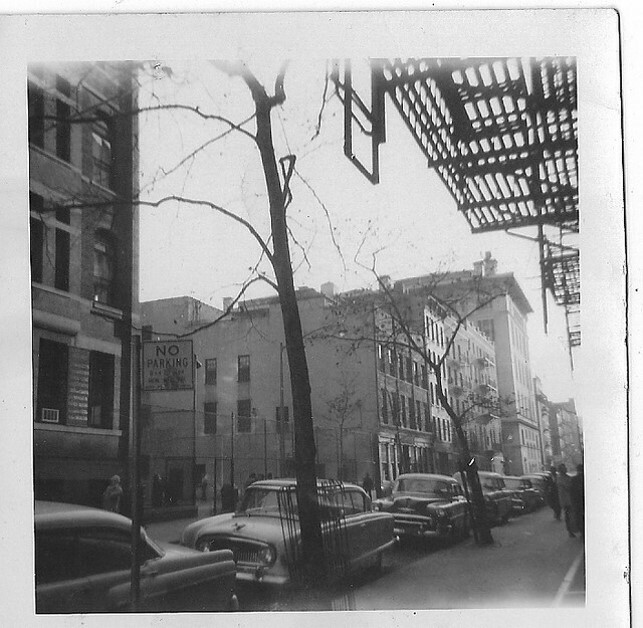 She argued that mixed use streets, busy all day and into the evening with the pedestrian comings and goings of residents and workers alike were what made for good city life. Cities, she noted, are inherently full of strangers. Safe functional streets are those regularly used by people and watched by people – not out of an explicit interest in deterring criminal behaviour but as the consequence of normal day-to-day activity and the enjoyment humans get from watching other humans go about their business. This coming and going leads contact among strangers and neighbours. According to Jacobs, these seemingly insignificant social contacts are the basic building blocks of safe, vibrant cities. This perspective is shared by Danish architect and planner Jan Gehl. He is interested in how cities work as social spaces and in thinking about how to build or alter urban spaces to foster greater liveability, liveliness and spaces bustling with people doing and watching. The intentional purging of public squares as part of the modernist redesign of cities eliminated places of social interaction. This problem was then exacerbated by planning dominated by the puzzle of how to handle cars – this planning deprioritised public space and made functionalist planning the norm. 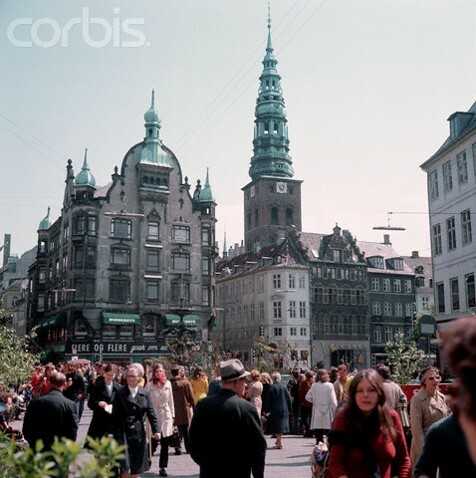 People on foot, humans seeking the stimulus of social space, were pushed out of the picture. Yet being able to move about on foot or bicycle enjoying the city, with the opportunity to “meet and get together with other people” is fundamental to good cities. Gehl talks of Offers of Experience or the chance to be around other humans without necessarily having to be with them. The most basic sort of social interaction is simply being in the presence of others – to see them, hear them, smell them. This is the building block around which being comfortable with strangers is constructed. So it was with these ideas about modern cities, automobility, and how things might be made better that I turned to Portland, Oregon to see how things were going there. While Portland is one of the most bicycle friendly cities in America it is still a car-centric city in a car-centric country. However there are many people – politicians and planners, business people and artisans, activists and just everyday riders – who are having success in challenging the dominance of cars. Portland is trying to be a city with a bicycling culture within a country without one. Portland is a city of 566,000 (in a metropolitan area of over two million) situated on the Willamette River just south of the confluence with the Columbia River in the northwest of the state of Oregon – which is situated on the Pacific Coast between the states of California and Washington. The city enjoys mild if wet whether most of the year with truly beautiful summers. It sits in a valley between Mount Hood of the Cascade Mountains and the more modest Coastal Range which separates the city from the ocean. Oregon shares many attributes with Tasmania both physically and politically. The state has historically been dependent on primary industries – timber products, commercial fishing, farming and cattle among others – and long enjoyed a sort of stalwart middle-American small-business oriented conservative sort of politics. Beginning in the 1960s Oregon began attracting new comers many of them hippies, back-to-the-land types and just progressive-minded people looking for a fresh start in a place they saw as still new, a place they could shape. The resulting political system is open and welcoming; it is consultative – though of course not utopian. There are tough battles and bloody spills but if you are keen to get involved you are welcome to do so and elected officials expect to hear from and listen to their constituents. I should say here that I first moved to Oregon to attend University in 1990. I left in 1992 for nearly two years to work on the Clinton Presidential campaign and then at the White House but returned in 1994. I lived in Portland for a couple of years while finishing my bachelor’s degree in Political Science at Portland State University. I’ve maintained by Oregon connections over the years, continuing to vote there and, if I had to move back to the US it is to Portland I would go. In the 15 years since I moved away two interwoven strands of bicycling development have flourished in Portland. 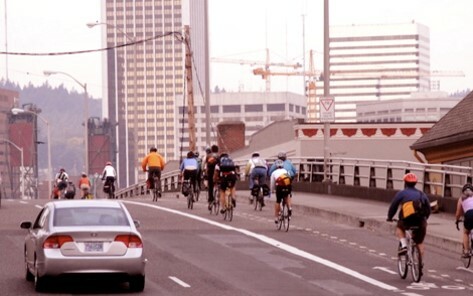 – one is the rise of bicycling subcultures and the other is the push by advocates, some government agencies and their allies to enable and encourage Portlanders to ride by building infrastructure and making that infrastructure work. In that time the bicycle route network has gone from 134 kms in 1990 to 441 in 2008 and ridership had grown exponentially – in the early 1990s about 1% of commuters used bicycles and now it’s about 7% city wide. The 2008 City Auditor’s Survey found 8% of Portlanders considered the bicycle their primary commute vehicle and another 10% considered it their secondary commute vehicle. Portland is doing a good job but still has a long way to go to meet its goals and in the meantime most Portlanders remain everyday drivers. I came to this project as an everyday cyclist pedalling though my streets and asking questions about why the world worked the way it did. Retreating to the saddle, then, what is it like to ride in Portland and is it all that superior to riding in Sydney – a city with a particularly bad reputation for cycling? 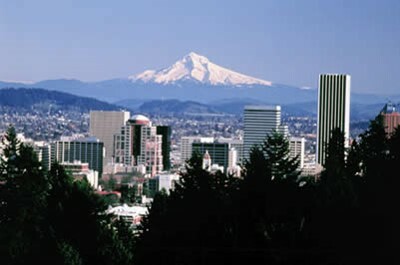 I visited Portland from March 15-25 2010 during which time I rode around town extensively both on my own and with locals. I rode for leisure along the river, got around town to various meetings, toured the City’s infrastructure following a guide provided by Portland State University’s Initiative for Bicycle and Pedestrian Innovations and shadowed a local on her morning commute. The weather varied from sunny, warm and springlike to dreary, wet and windy so it was fair but not prime bicycle weather. My expectations were high, having absorbed all this information about what a phenomenal job they have done and are doing, I expected a town full of happy peddlers rolling around on well marked paths and roads with ample bike parking. From the media I knew there were plenty of unhappy drivers in Portland so didn’t necessarily expect every one of them to wave and holler a warm cheerio. That said, I had no conflicts with drivers and generally felt safe navigating the town. I found, as I would at home, that I used infrastructure where it existed (and I knew it existed) and, where it didn’t, I rode safely on quieter streets or foot paths, rarely did I make my way on an arterial lacking cycling provisions. The few occasions where things felt a little sketchy were in situations where the weather was bad or I was simply in an unfamiliar environment and couldn’t immediately spot where I was meant to ride. 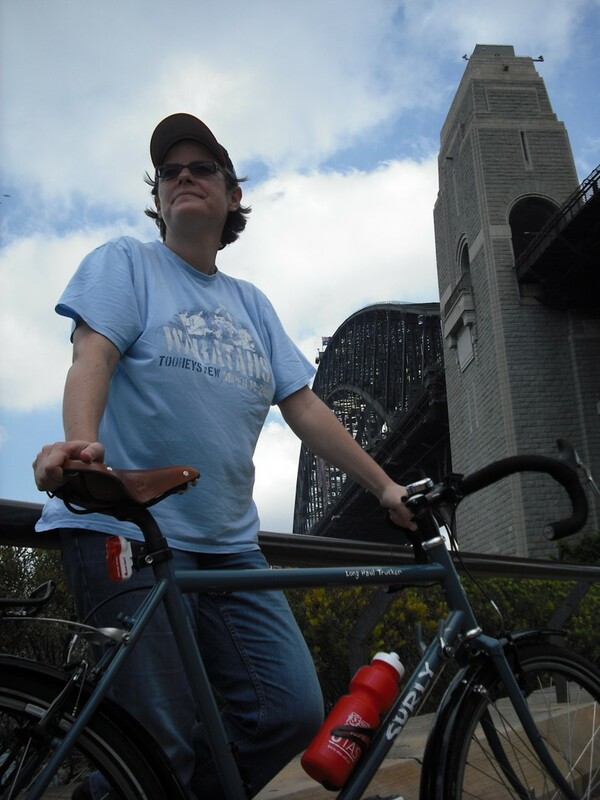 It might be useful to ask if I were used to riding in Portland if I’d find riding in Sydney challenging – absolutely. Portland’s system is much more thorough – though most of it is strictly paint-on-pavement with the city only recently installing their first fully separated cycleways. Riders can easily route-find across town, at least in the central area, without using a totally unmarked route and, nearly everywhere, there is a quiet side road in any case. Compared to Sydney, motor traffic was light even in peak hour. With 18% of Portlanders saying that bicycles are either primary or secondary commute option most Portland drivers are themselves occasional cyclists or have a friend, family member or colleague who is a cyclist. Riders, then, for many drivers, are seen as people they know and so they tend watch out for them in the road. There really were a lot of riders about and I felt more like I was part of a traffic stream than in an exclusive club of in-the-know cyclists. During peak hours there was heavy bicycle traffic of fairly ordinary-looking people, albeit often wearing specialist cycling gear – more fluoro rain gear and Gore Tex gloves than lycra. Through the middle of the day the streets filled with the hip and young – moustachioed young men on fixies, skirted women on Dutch style city bikes etc — many un-helmeted and occasionally smoking a cigarette as they went. In the after-school hour I saw parents riding with their children. 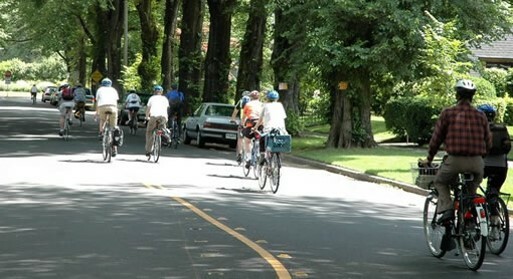 Riding in Portland, as an experience, really was very enjoyable. Utilizing the infrastructure was easy, the free folding pocket sized map of bike routes around town was super handy, there was reasonably good signage and I always found somewhere to lock-up near my destination. It was nice to feel included in the city’s plans and designs and I enjoyed being part of a community of riders. Travelling by bicycle is unremarkable in Portland even in bad weather. It was good not to be seen as weird or suicidal. More than all that it really is a lovely place to ride. The residential streets are meant to be enjoyed at human pace the details of the paint work on the houses, the mixture of plants in the front gardens, the varying smells of blooming trees engaged the senses. This project began with the question of what role, if any, bicycling plays in contesting automobility in modern American cities. 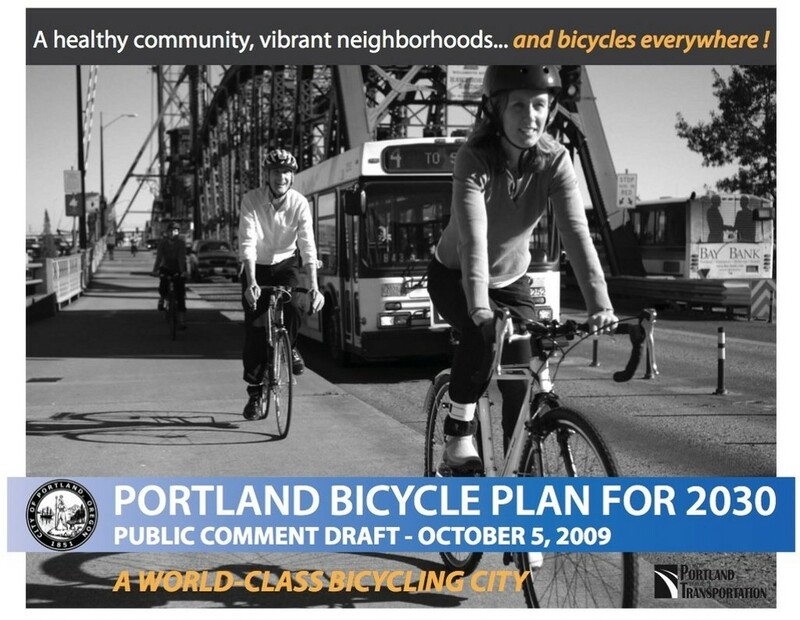 How, then, can cycling been seen as playing a contesting role in Portland? Cycling has been a crucial piece in a larger move by the City of Portland and Portlanders more generally to contest automobility. Upon receipt of Portland’s Platinum Bicycle Friend City Status then-City Commissioner, now-Mayor Sam Adams said, “this is integral to our broader vision of Portland as a world-class, sustainable, and economically vibrant city that attracts families and businesses because of the quality of life we offer to all. Bicycling helps us achieve that and more”. Portland’s embrace of the bicycle almost as an undeclared symbol of the city signifies that Portland generally is a place contesting automobility. There are a number of specific examples of contestation happening in Portland but I think the best relates to bike corrals. 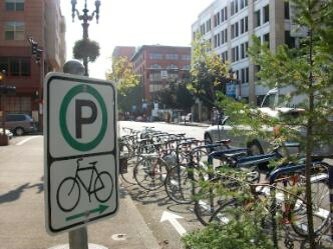 A few years ago the city began offering merchants the opportunity to request that one on-street parking space be removed at their business and be replaced by parking for up to 12 bicycles. So popular are the bike corrals that last I checked the waiting list was well past 100 – that is over 100 businesses clamouring to have their on-street car parking removed in favour of bicycle parking spaces. If that is not a sure sign that a shift in thinking about the role of cars in the future of Portland is underway than I don’t know what would be. 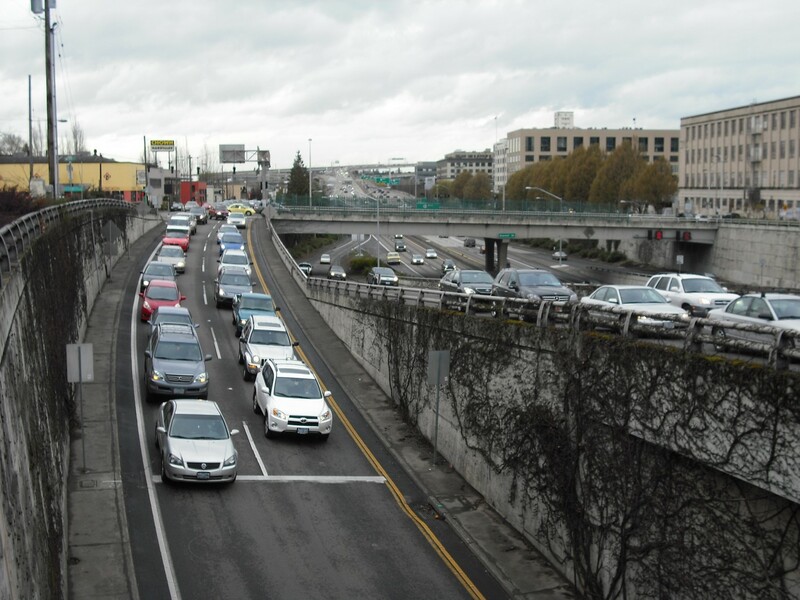 That said driving remains the primary mode of travel to work for around 75% of Portlanders. It is not an American Copenhagen – bicyclists, while prominent and well supported, are a minority. 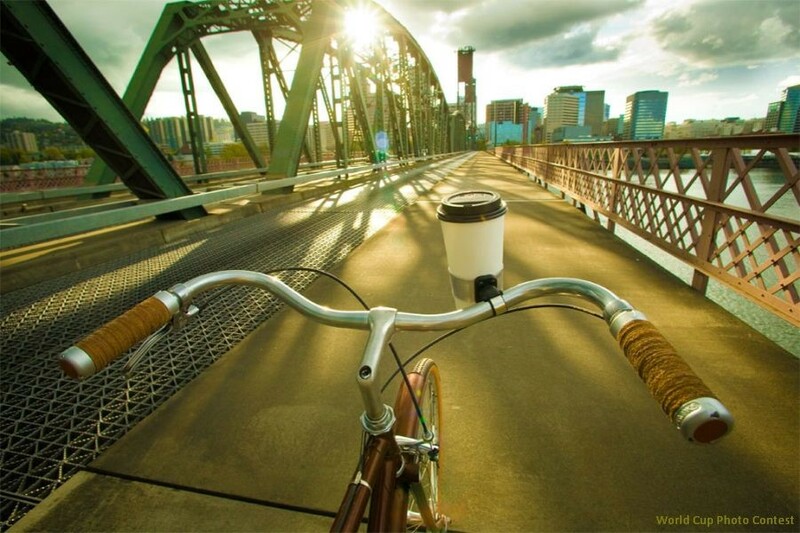 Unlike some European and Asian cities where bicycles are considered akin to washing machines or vacuum cleaners – a widely distributed, handy domestic tool – in Portland the bicycle is, among other things, a symbol. For riders it is a symbol of identity or inclusion in various subcultures; for the city it’s a symbol of the sort of place they are trying to be. But mostly it is a symbol of having broken free of the coerced freedom, the encapsulation and the entrancement of automobility. For drivers operating in an environment where non-drivers have long been reduced to a subordinate position the mere presence of cyclists in the roadway challenges the presumptions of automobility. Increasingly cars have become like mobile lounge rooms where we as drivers are operating complex and dangerous hardware via highly nuanced software designed to simplify driving and minimize the consequences of human error at least for those in the car. These changes, operating in conjunction with the engineered environment we drive through, lull drivers into a false sense of security. The presence of bicyclists in the roadway is confronting; the bicyclist challenges the driver to take control and responsibility of his or her operational decisions and not merely rely on engineering to direct him or her. Becoming a bicyclist changes your perspective on the city. Bike riders have a much more sensual relationship with their environment and they enjoy greater opportunities for social interactions than drivers. They are more connected to the place and its people. When you become a cyclist, having previously been an everyday driver, you see your city with new eyes and more importantly experience your city with all of your senses. You realise you had been having a very limited relationship with the physical world. On a bicycle you feel the weather, you smell the flowers (and the rubbish and the exhaust fumes), you hear the ever present roar of motors and the twittering of birds; you taste the sweat when your muscles are working hard to get you home. Your route-finding changes as you move from high traffic arterials to quieter roads which introduce you to new parts of your city; your experience of the geography become three-dimensional as you learn the hills and valleys of your ride. As a rider you are sharing social space – even if you are moving much more quickly than a pedestrian – you can and do make eye contact, hear human voices, and can easily stop for a chat when you run into a friend. You are out in public, out in the world, rather than just passing through it in a bubble of your private space. I am reluctant to suggest that rise of everyday urban cycling is the vanguard of some sort of post-industrial, post-modern urban revolution. But if, as has been claimed, “revolutions entail a taking of the streets and a taking of public space” then as people of their own volition discover the joys and liberation of riding in the city, and by literally claiming their rights to the streets, perhaps a quiet revolution is taking place. A revolution not just to reclaim public space, but to reclaim a sense of community, of connection to the city and its people.